This fascinating book is the first volume in a projected cultural history of the United States, from the earliest English settlements to our own time. 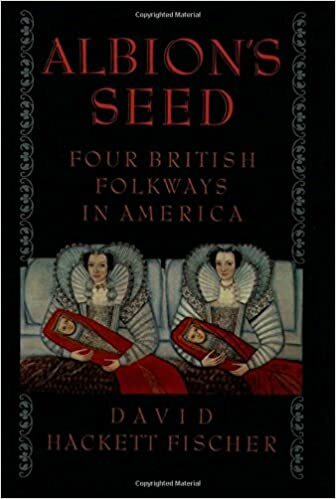 It is a history of American folkways as they have changed through time, and it argues a thesis about the importance for the United States of having been British in its cultural origins. While most people in the United States today have no British ancestors, they have assimilated regional cultures which were created by British colonists, even while preserving ethnic identities at the same time. In this sense, nearly all Americans are "Albion's Seed," no matter what their ethnicity may be. The concluding section of this remarkable book explores the ways that regional cultures have continued to dominate national politics from 1789 to 1988, and still help to shape attitudes toward education, government, gender, and violence, on which differences between American regions are greater than between European nations. Next Post Next Post: Who Was Harriet Tubman?